Clambakes are a summer staple in Maine. 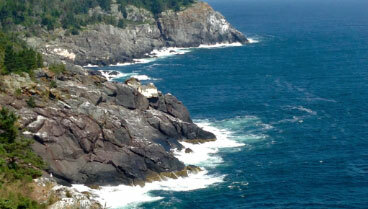 This is especially true on Cabbage Island, a five and a half acre island located off the coast of Linekin Bay. Only accessible by ferry, the island boasts panoramic vistas and a quiet, laid-back vibe. It’s also been the home of traditional clambakes since 1956. Here’s what makes Cabbage Island Clambakes so special. For more fun things to do during your summer getaway, consult our helpful Vacation Guide! It’s full of information on great events Cabbage Island Clambakes. You’ll also find restaurant recommendations, shopping spots, outdoor activities, and more. Get your copy today! After purchasing the island in 1948, Donald and Ruth Leavitt hosted a twice-daily clambake for 23 summers. They transported people to the event via ferry and welcomed visitors from far and wide. Mrs. Leavitt sold Cabbage Island in 1983, and local boaters asked the new owner, Mr. Wayne Moore, to bring back the tradition. Today, Cabbage Island Clambakes are more popular than ever. Each clambake begins with a scenic ride aboard the Bennie Alice. 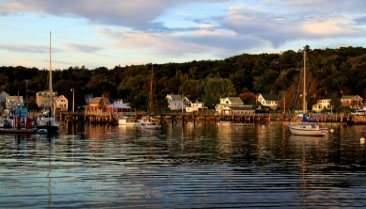 You’ll cruise along Maine’s rugged coastline and admire lighthouses, landmarks, and wildlife before arriving on the island where a succulent feast awaits. Your meal includes a steaming cup of New England fish chowder as well as two bright red lobsters, steamed clams, corn on the cob, and Maine potatoes. Don’t forget to try Mrs. Leavitt’s famous blueberry cake for dessert! Did you know? Traditional “Downeast” clambakes use a unique cooking method. The lobsters and clams are wrapped in seaweed, covered with tarpaulins and rocks, and steamed from top to bottom. This helps pull out their sweet, mouthwatering flavor. After you’ve had your fill, spend a few hours exploring Cabbage Island. You can hike, fish, and take pictures, or challenge your spouse to a game of horseshoes or badminton. Visitors are also welcome to stroll along the shoreline and watch as fisherman haul in their traps. There’s truly nothing more relaxing. Cabbage Island Clambakes are offered daily from June to September. During the week, the ferry departs Boothbay Harbor at 12:30 and returns at 4:30 p.m. The same lunch service is available on Saturdays as well as a dinner service at 5 p.m. On Sundays, the ferry visits the island at both 11 a.m. and 1:30 p.m. Call (207) 633-7200 to make your reservations. There you have it! You’re officially an expert on Cabbage Island Clambakes. To take advantage of the events this year, be sure to reserve your lodging early. 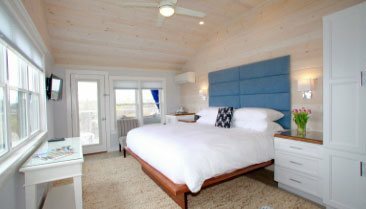 Topside Inn is one of the best places to stay in Boothbay Harbor, offering luxurious amenities and top-notch accommodations. 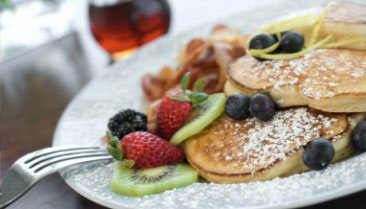 We even serve a delicious gourmet breakfast each morning made with local ingredients. Visit our reservations page to book Room 14 and start planning your summer getaway today.